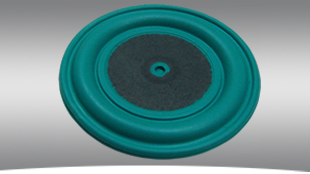 Our Diaphragms are backed by the highest quality standard in the industry. We are currently certified under AS9100/ ISO9001. 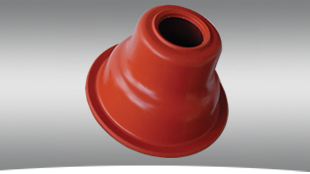 We are committed to providing each customer with the highest quality rubber molded seal and sub-assembly available. Customers rely on Diacom’s engineering expertise to launch a variety of medical applications such as Medical instrumentation, surgical equipment, and oxygen respirators. Diaphragms improve efficiency and reduce cost across the many types of valves, actuators, and regulators. Diaphragms are the heart of any irrigation system. They provide consistent performance and durability to suit all residential and commercial systems. DiaCom is an industry-leading provider of innovative, cost-effective molded diaphragm solutions that are critical to the operation of essential systems and equipment in: Industrial, Automotive, Aerospace, Medical instrumentation, and Food and water processing applications. Our reputation for solving the toughest sealing problems are based on our superior quality management system, our engineering expertise, and advanced manufacturing capabilities. DiaCom’s commitment to quality is reflected in our latest AS9100 2016 and ISO 9001 2015 Certifications. We are constantly striving for continuous improvement. The AS-9100 standard implements a strong focus on product quality, process control, and product conformity to specification. By encompassing our Engineering expertise and advanced manufacturing capabilities, DiaCom is able to deliver engineered diaphragm solutions that are unsurpassed in performance. DiaCom uses our core expertise of bonding industrial fabrics, fluorinated films, plastics and metals to our custom engineered elastomers in a variety of molded parts including: fabric reinforced diaphragms, molded diaphragms, rolling diaphragms, diaphragm seals, chemical septums, bellows, accumulators, valve plungers and valve seats. Diacom’s Extreme Low-Temperature FKM is a new FKM material specifically formulated to remain flexible down to -40°F (-40°C). Extreme Low-Temperature FKM was also designed to be a high-duro compound with excellent compression set resistance for use in dynamic and static seals (e.g. diaphragms, o-rings and gaskets). This material has excellent resistance to a wide range of chemicals and is also capable of withstanding high application temperatures up to 500°F. 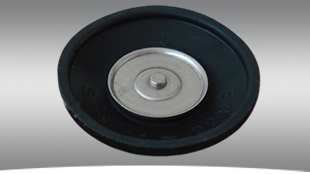 This is a type of diaphragm construction where there is rubber in the high pressure side and fabric on the low pressure side. This is a type of diaphragm construction where the fabric is inserted between two layers of rubber. The Fab•Air™ Diaphragm is made from a composite elastomer material with a proprietary fiber dispersed throughout the elastomer. DiaCom's unique process and construction produce a diaphragm that is compatible with harsh environments without limiting the life and responsiveness of the diaphragm.